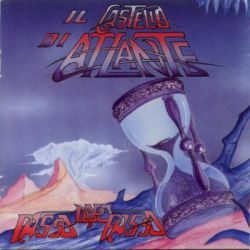 Like so many groups from the 70's, Il Castello di Atlante never had the chance to release anything at the time. But they never gave up playing together and, like Consorzio Acqua Potabile, released their first album in the 90's, with a line-up that included mostly original members. 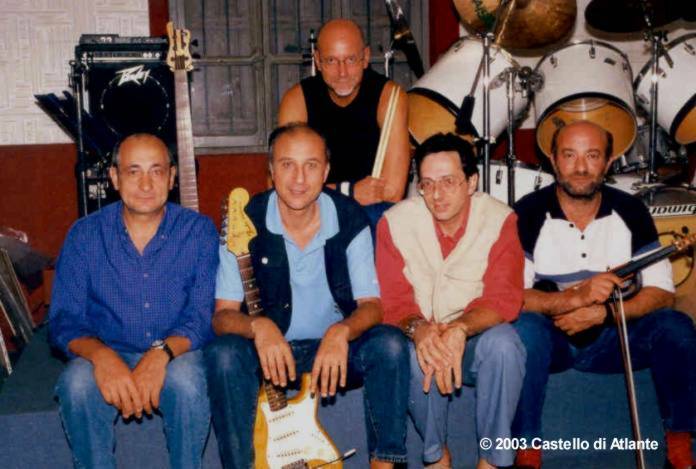 The group was formed in late 1974 as Hydra with Giorgio Lobascio on guitar, and took its current name in 1975 (though their first concert was under the name Stato d'Allarme) after a stable line-up with the entrance of Aldo Bergamini as lead singer and guitarist, having a good live activity in their local area of Vercelli. A promo cassette, La guerra dei topi, was recorded in the early years. The original five-piece survived until 1982, helped by guest members from time to time, like keyboardist Vittorio Pallavicini and guitarist David Rampone. In 1982 flutist Marchiori left the group, following them as live engineer, and the four remaining members recorded a second demo tape, Semplice... ma non troppo, and a single that was privately released in February 1983, by the time newcomer Roberto Giordano on keyboards had been added. 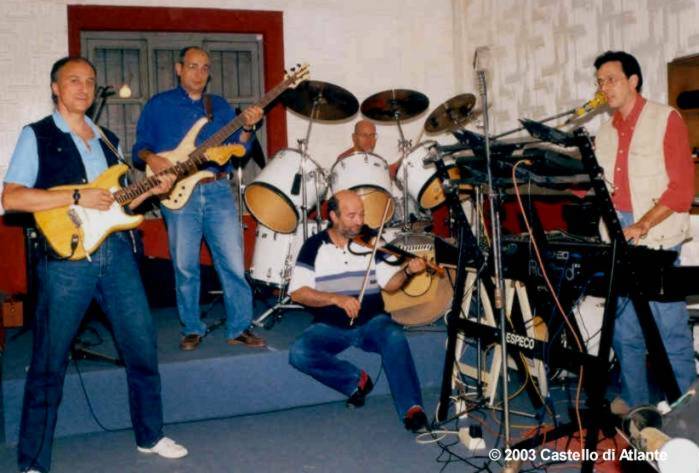 The band kept playing on a low level, during the 80's, third tape Passo di danza was produced in 1986, but it was the basic trio of Bergamini, Fiore and Ferrarotti that kept the name alive due to the work commitments of the others. 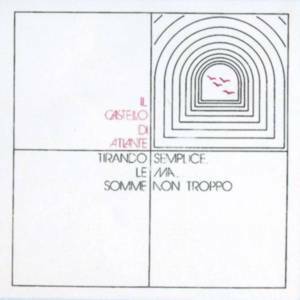 The official renaissance of Il Castello di Atlante came in the early 90's, and thanks to the interest of the Vinyl Magic label and Arti & Mestieri keyboardist Beppe Crovella, they could finally release their debut album, Sono io il signore delle terre a nord. 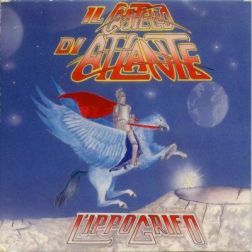 Still keeping a typical Italian symphonic prog sound, yet with a 90's feel, the album was very well reviewed and became a starting point for the revived group. While the opening Tirando le somme can be similar to some neo-prog bands of the 80's, some tracks like La foresta dietro il mulino di Johan or Estate are much closer to the big names of the Italian prog, the group having a distinctive element in the leading role of the violin that adds a folk touch to their style. A second album in 1994, Passo dopo passo was a compilation of old recordings, both studio and live, and on a lower level than its predecessor. This also contained live tracks from the 70's, but the cover didn't mention any recording details. Third album L'ippogrifo, in the same year, repeated the formula of their debut CD, though some reviewers considered it to be a bit too melodic. Other albums at the beginning of the new decade: in 2001 the very nice Come il seguitare delle stagioni, that was their first to have a vinyl release, and in 2004 Quintessenza, both showing a high level of composition as well as some usual similarities with legendary 70's groups like PFM or Quella Vecchia Locanda, though the group has always had a good personality and a rather original sound. Among their latest releases a live CD+DVD set issued in 2014 by the Mexican label Azafran Media and in 2019 a remake of the debut album, newly played and with an extra track. 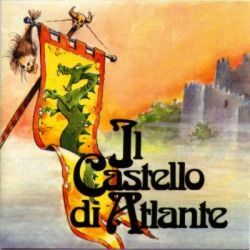 All the Castello di Atlante CD's are currently in stock and easily available. The vinyl version of Come il seguitare delle stagioni has been released in a limited issue and will probably become rare. 1 - How was the band formed? Did you have any previous experience? In the beginning we didn’t really know what to do, we just wanted to find other people to play with. We just knew Massimo Di Lauro, and we knew he played violin, but we didn’t even know where he lived. So we found him after a few weeks and he accepted to join us. He was a trained violinist at the School of Music of Vercelli, and he was still in the School Orchestra, of course playing symphonic music. Another friend of ours, Giampiero Marchiori, was a flute player, but not as a stable member of any band, just collaborating with some of them. The last one, in February 1975, was Aldo Bergamini with his guitar, he had just left a cover band with which he had played for the last five years. Apart from Massimo we were all friends since many years, so we were a group of friends before being a musical group. Some years later Giampiero left the group, and, in late 1982 we found Roberto Giordano, that had a long experience as a pianist and had been in a progressive band playing original material. 2 - Have you ever split or has the band always been active? Then, at the beginning of 1991, Massimo and Roberto came back and in 2001 Dino left the group and was replaced by Franco. But the most important thing is that we’ve always been in touch during these long years, and we never gave up transforming our emotions and experiences into music. This means that our friendship, on which the existence of the group is based, our sensibility, our personal way of seeing the life, have never disappeared. Il Castello di Atlante is a part of our lives! 3 - How was your concert activity during the 70’s? In the past years we made lots of concerts in Italy, especially between 1978 and 1983. Unfortunately we never had the chance of making records, and this had a negative impact on our live activity that never went beyond the amateurish level. To be honest, our approach to the concert was absolutely professional, everything was deeply rehearsed and studied, including what to say between the single tracks and the final introduction. Moreover we had until 1980 Giampiero Marchiori and his theatrical verve. GP was much into the visual aspect of music, he was always disguised on stage and often invented unusual stage backgrounds to increase the effect of our music. When GP left us, we had to find something else than the common light show. So we began using slide shows, and I must say the overall result with the music was really nice. We often mixed a loud track, with a floodlit stage, with a solo piano part with a dark slide, a good effect. 4 - Why didn’t you record anything during the 70’s? I have to admit that our sound was not as mature as it was in later years, and maybe we weren’t mature as well. Anyway in 1977 and 1978 we got in touch with two record companies, but Cramps thought we were not politically committed enough, and RCA said our music was not enough commercial. Both asked us to revise our arrangements and the lyrics, of course we refused! We were so proud that we never thought of changing anything. Our record had to be our music played by ourselves, and nothing else. So nothing happened. 5 - And your relations with other Italian and foreign artists? We just happened to know some members of important groups, but in a very superficial way. Among them Patrizio Fariselli from Area and Beppe Crovella (before he became our producer) of Arti & Mestieri. In 1981 we were friends for a little time with Banco, especially Rodolfo Maltese. But I wouldn’t say there were real relations with them. 6 - Which were your musical influences at the time? When we formed the group in 1974 we were in the best season of progressive rock: Genesis, King Crimson, Yes, Jethro Tull, Van der Graaf, Banco and PFM were very popular. We were definitely not listening to anything else, and at least me, Aldo and Dino just grew up eating bread and prog! Considering his past experience Massimo was much into classical and symphonic music. I personally used to like heavy metal groups like Deep Purple, Led Zeppelin, Black Sabbath at least until early 70’s, but with Emerson Lake & Palmer I began changing my taste and when I first heard Genesis…I saw the light! Since then I only considered progressive rock. Of course all these bands strongly influenced, and they still do it now, our creativity, and we all loved these groups so it’s natural that some musical parts or arrangements remind one of these bands or another. But I don’t see this as a problem, the essential aspect is that our personality must be prevailing, in order to avoid a simple copy. 7 - And now what kind of music do you like? There’s not too much fantasy in this…I mostly listen to prog music, though I like Phil Collins very much. I must admit that Phil is my favourite drummer, and I have some pictures of him near my drum kit, as he could protect and inspire me! Even Aldo is still into prog, while Massimo is always close to classical and symphonic music. Probably the one with the most varied taste is Roberto, but this is also due to his work, he has a recording studio and listens to everything. Franco is closer to classical rock. But I think that when you hear the music you don’t have to do anything else. To really appreciate what you’re listening you have to be concentrated on it. I usually have my radio turned on, but I never listen to it, because I’m always doing something else. Anyway the radio stations generally play trash music, so….. If I want to play a record, I put my headphones on and concentrate on what I’m listening. 8 - Have you ever been offered to play abroad? 9 - What do you think of the interest by foreign fans in the Italian prog? It’s true, the Italian prog is very popular abroad, we noticed it when we recently took part in the Kalevala Project. The idea came to the people behind the finnish magazine Colossus, and took to the release of a 3-CD set based on their national epic poem, Kalevala. The organizers contacted 30 groups from all the world and gave each of these a chapter of the poem to adapt in music. Well, among the 30 groups, no less than 13 were from Italy! This does surely mean something, I think this musical style has more followers in Italy than in other countries so it’s easier to find good quality productions. Certainly the Italian prog has many fans in the Far East and in South America, and we also have our main reference markets in Japan, Korea, Hong Kong and Singapore. I can’t really explain the reasons why this happens, maybe our language is more musical, at least in our case as we sing in Italian. I don’t know, maybe abroad there are more people wanting to concentrate for 15 or 16 minutes on a musical track, maybe the Italian prog gives particular emotions, who knows…. Anyway, I’m glad there are people like this, searching for a music with strong contents and meanings, maybe there’s not so much stupidity around as we think! 10 - How are your compositions made? We basically work as a team, one of us comes with an idea and we all work on it. After the main structure is laid, we work on the single parts, and there can be Aldo suggesting me a certain rhythm pattern or Roberto working with Franco on the bass part. Everyone has to be convinced of both his own part and the overall track. Along with the musical background we start working on the lyrics, the words are based on the melodic structure, so usually the lyrics follow the music but sometime we adapted old words that have to be changed to fit the music. The final aspect is the overall harmony and musicality of the whole track, taking care of the small details and single notes. Of course this way of working takes much time, even because our tracks are often 15 minutes long or more, and in the end you can notice they sound much different than when they were first conceived, but the most important goal is that we are all satisfied of the final result. Sometimes three of us have three different tunes and we mix them into a single track. Obviously, in progressive music you can have totally different parts in a single track, this is one of the peculiar aspects of this music. For copyright reasons all the music is credited to Roberto, and since the next CD I’m the lyricist, but this is really always a team work. 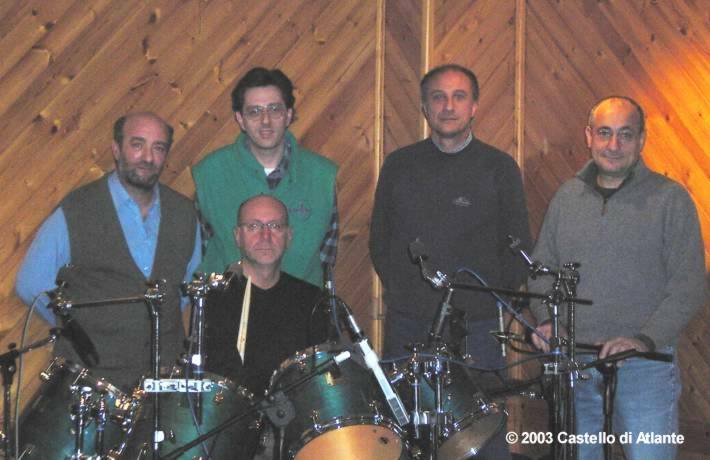 11 - In 2001 Franco Fava replaced Dino Fiore on bass. How come did you prefer a seasoned musician to a younger one? Not particular reasons. We met Franco and we liked him. You know, me and Aldo are 48, and Massimo 47 years old, so there’s much more affinity with a “kid” of 54 rather than with a 20 years old guy. The first thing for us is our friendship, and it’s easier to find at ease with someone that belongs to our generation than with a younger one that could be one of our sons! It’s just a question of feeling, we tried another bassist of our age before Franco, but there was no feeling! 12 - Any anticipations on the new album? 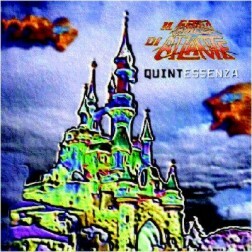 It should be out in a few weeks, it’s entitled Quintessenza, where Quint is for our fifth album [“quinto” in Italian] and represents the passing time, while Essenza, is the Essence of Castello di Atlante, the friendship and the experiences we lived together, all the things kept together by our music. 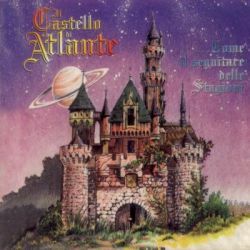 Once again Il Castello di Atlante is one of the constant elements of our life. On the graphic side, we represented the two elements [Quint-Essenza] using black and white, to strengthen the meaning of the composite word. The album includes five tracks for a total length of 46 minutes, it’s not a long album, but we didn’t want to repeat what happened with Come il seguitare delle stagioni where the vinyl version had to contain a track less than the CD. In today’s world the main thing is to make money. A good career gives the opportunity to earn more money, and undoubtedly money makes life easier. For this reason people make many things for their career, when they live for their work, and one of this is pretend. You can pretend with the others, with your colleagues, with your boss, but not with yourself. There comes a time when, if you have a small sensibility, you realise you can’t pretend anymore. This is the track included in the Kalevala project, about the finnish national poem. As I already said the friends from the finnish magazine Colossus contacted 30 foreign groups, asking them to put into music a chapter of the poem, that’s about the life of the blacksmith Ilmarinen. We had to work on the 10th chapter, that’s entitled Ilmarinen forges the sampo (a magical instrument). We really found at ease in the magic atmosphere that surrounds the poem characters. A track written for a woman who was in a very hard time of her life. She had lots of problems with her man and decided to divorce. Then she decided to take a new path in her life, long and difficult, but this has been a wise choice, because she’s now smiling again, so the time to come has been much better. Instrumental – When you’re with your friends and play your music, you think you’re touching the sky with a finger! Unfortunately there are things we can’t control. When these things happen you feel guilty if you’ve been lucky and other people, especially the people you love, haven’t had the same luck. So you write a song and put in it everything you feel. Maybe that’s not too much, but it’s something, a small support to hold you when everything else falls. Il Castello represents to us this support. To close the album there’s a reprise of Il tempo a venire, that we felt was a very good closing theme, given its majesty. 13 - The last question, what else can you say on Il Castello di Atlante? After 30 years spent together I could write an encyclopaedia on Il Castello di Atlante. The main thing is that we’re friend that have in common a great interest for music, we could play chess or with aircraft modelling or something else, and it would have been the same. We’re grown together, we shared good and bad times. We cried for lost loved friends and shared the joy when our sons were born. Il Castello di Atlante does really exist, it’s not just the name of a group, it’s our studio, where we arrive with a rucksack full of thoughts and concerns, leave it out of the door, and get in. Inside there’s just us and our music, and we’re fine. And when we go out, we take the rucksack on our shoulders again, but I can say for sure it’s much lighter!! I would surely be a different man if I hadn’t met these four friends, because we’re real friends!